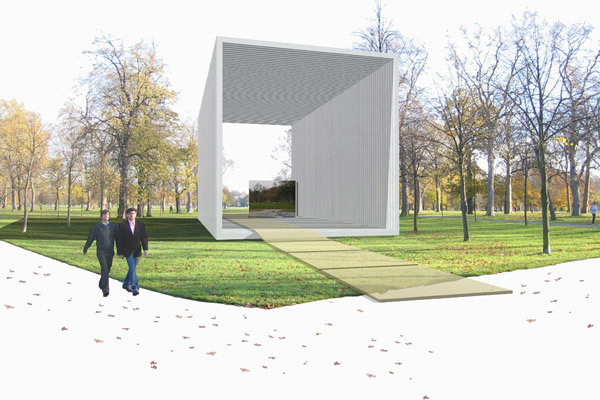 Winners of the 2006 Art Box competition held by the Arts Council of Ireland together with the RIAI. 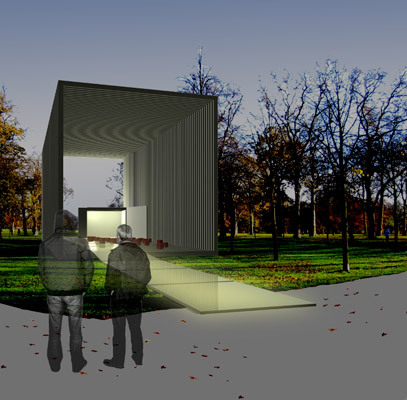 A small mirror polished art box gallery is positioned within a larger outer open web frame composed of rectangular white fibre reinforced plastic sections. The art box cube gallery is accessed through a single pivoting panel. A carpet is used to provide a formal relationship between the two components and to provide a link to the outside world. 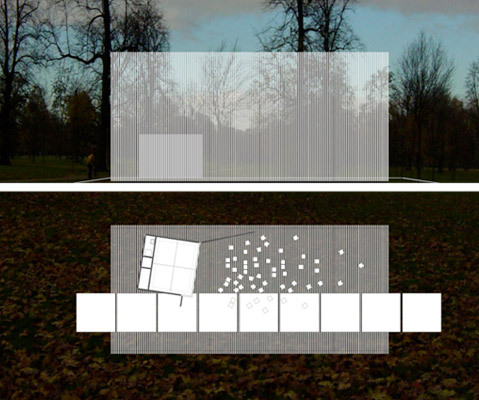 Constructed from translucent panels of resin each fitted with a 'smart slab' LED system it monitors and respond to movement cycles within the art box. The project was carried out in conjunction with Jose Soto.